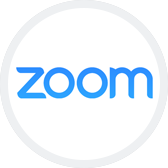 Join Zoom expert Raul Montes to learn the Zoom basics: scheduling, recording, screen sharing, and more. Why wait? We will work with your schedule!